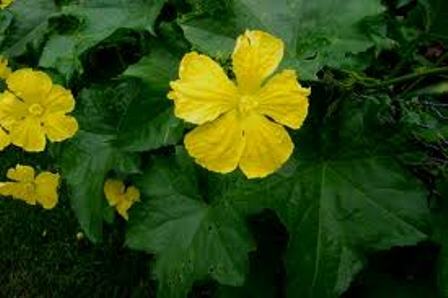 Loofah is a squash plant. 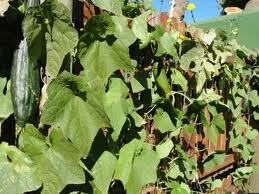 It grows as a vine and best grown trellised. 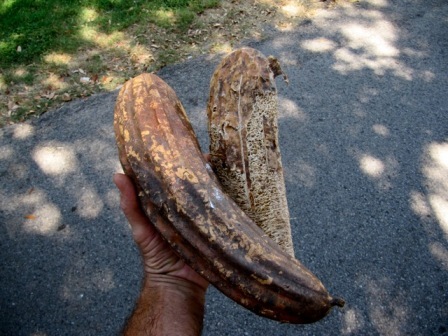 The squash is picked, dried and skinned. What remains is what you see above and in bathtubs across the world. 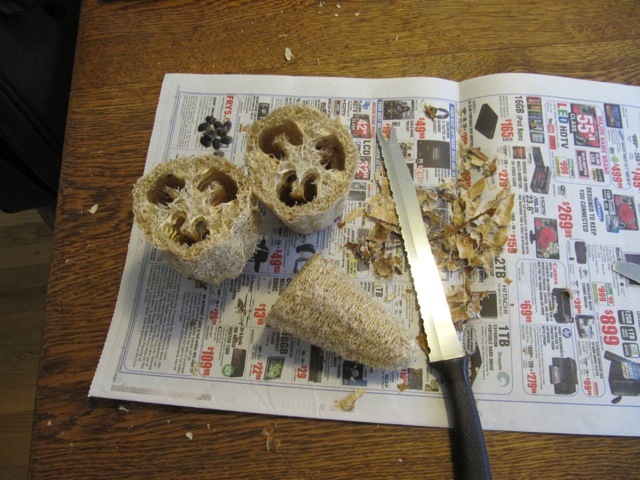 Another idea for loofah is to use it to wash dishes. It works beautifully on plates and pans. It also is perfect for inside tall and wine glasses. If you have dry skin, adding more avocado or almond oil offers more moisture. 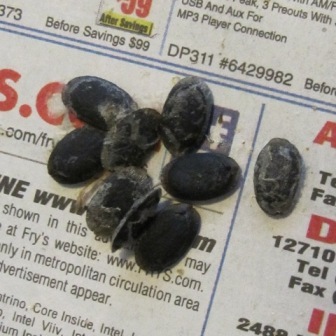 Foot scrubs using loofah are very effective. Caution! Do not use loofah sponge on your face, as the facial skin is very sensitive. 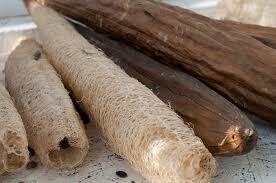 Loofah sponge is very good for removing dead skin cells leaving the skin smooth and conditioned. Experts suggest scrubbing the skin at least 3x a week to enhance circulation and to promote the excretory function of the skin. Loofah sponge is also very effective in removing calluses from the knees, ankle and palm of the hands and feet. Loofah sponge can help control body and foot odor. 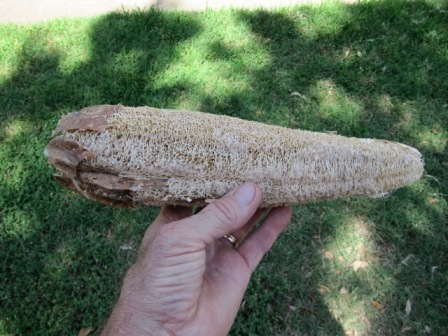 Loofah's natural exfoliating ability helps to prevent folliculitis (a condition that causes facial and body hair to begin to grow beneath the skin). 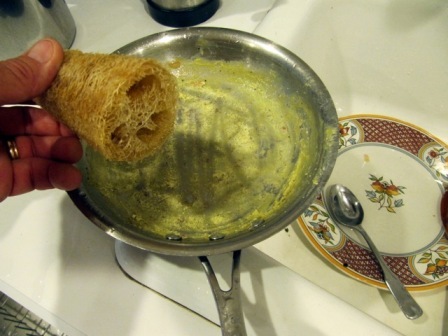 Loofah as kitchen sponge: Loofah is an excellent sponge to remove stubborn food particles in plates, pots and pans. 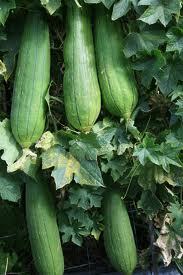 Loofah is also gentle enough to use on delicate cookware (Teflon) which cannot withstand normal abrasives. Massage young skin very gently after scrubbing it with loofah. How to care for your loofah: Loofah sponge is a natural fiber and if not properly cared for, will attract the growth of mold and micro organisms that will cause skin problems. It is therefore important to keep loofah sponge clean and dry when not in use.